So it was just like last year. Only it could hardly have been more different. 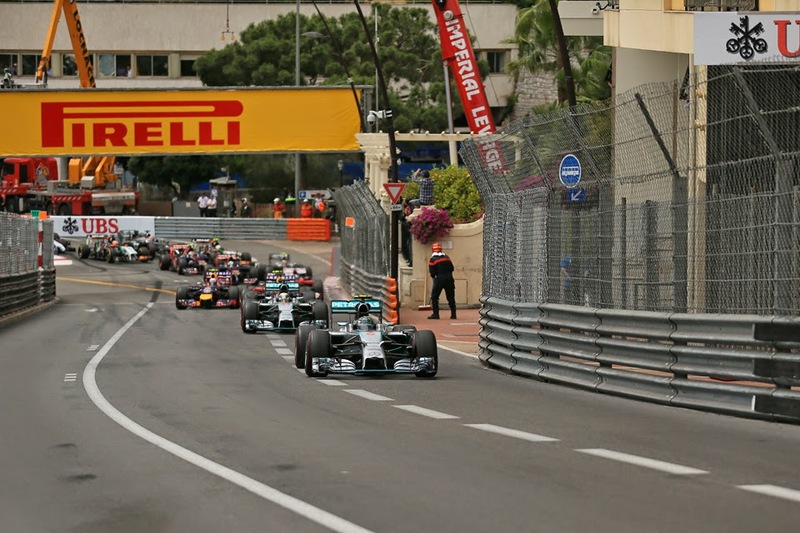 Just like last year the Monaco Grand Prix was all about Mercedes. Just like last year Nico Rosberg led every lap and was immaculate in so doing on the way to victory. But perhaps beyond these bald facts the similarities end there. And do so rather abruptly. Many of us had suspected it would happen at some point, but perhaps not even the greatest stirrer-of-the-pot would have predicted that it would have all kicked off this early. Lewis Hamilton and Nico Rosberg, however far they go back, and having fought at the front for a mere six races, their relationship first simmered and now as a consequence of this Monaco weekend seemingly has reached full boiling point. The events of this round had a lot of the characteristics of a watershed; a departure point. A night to sleep on matters since qualifying and all that as well as time to review the telemetry data didn't make Lewis Hamilton any happier with what Nico had done, and he said so. And his mood didn't improve over the 78 laps of the race either. Au contraire, it deteriorated rather further. The Mercs dominated as expected, but Lewis's words on the team radio that we all heard during the race betrayed particular ire over being unable to pit immediately when Adrian Sutil crashed and thus giving him an advantage of anticipating the probable safety car - missing the moment largely cemented his fate to follow his team mate home today. He even went so far as to say 'I knew you wouldn't call me in guys'. After the race too he was still muttering rather ruefully, pointing out in front of microphones that at McLaren there was more scope for one car within the team to make a strategy jump on the other. At Merc it seems the strategy is centralised, and the car ahead gets first dibs. This left Lewis, in his own words, needing 'a miracle' to jump Rosberg today. Some however have been cynical enough to point out that Lewis when he was the one to benefit from being the guy ahead in Bahrain and Spain recently he wasn't complaining about the system all that audibly. Where you stand depends on where you sit, as the saying goes. And as some form of coup de grace, Lewis also did nothing to suggest that he's going to relent in his new trench warfare with Nico, stating 'we're not friends, were colleagues'. He also said he hadn't spoke to Nico since the race and denied that communication with his team mate was important in clearing up any bad feeling. 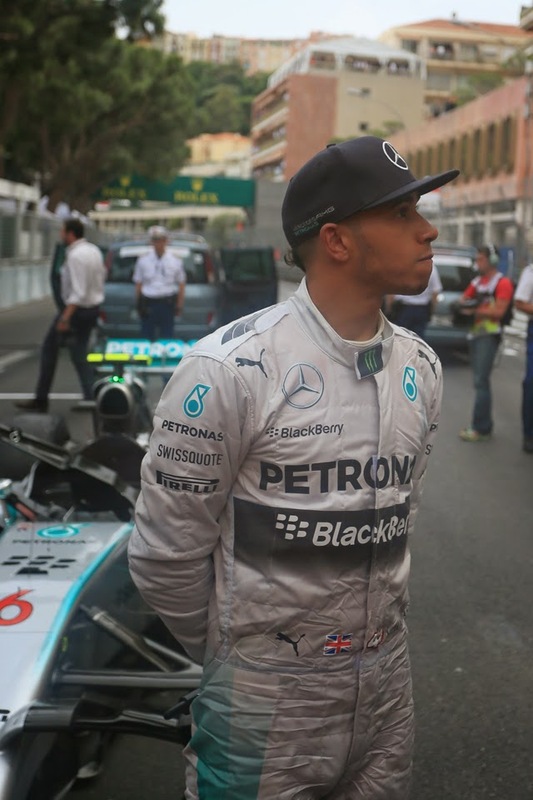 When asked if his relationship with Nico can be cleared up Lewis said: 'I don't have an answer for you'. This followed on too from us having it confirmed that in the last race in Spain Lewis, apparently in his defence of Nico late on, used MGU settings he shouldn't have done giving himself extra power that Nico didn't have, and apologised subsequently. Trouble at t'mill. And given Lewis's claim that he is to adopt the role of Ayrton Senna in the Senna-Prost battle at McLaren in 1988-89, perhaps he's missed a crucial part of the role that Senna then always stayed on-side with his McLaren team. Prost was the one that one way or another ended up ostracised; alienating the squad (or more to the point, the engine supplier) including by suggesting in public that he was being screwed. As you can appreciate such claims are not destined to make one popular with one's colleagues. And Toto Wolff afterwards didn't sound thrilled at Lewis's barbs on the pit stop timing prior to the safety car appearance: 'we have to buy a new tool for the garage and this is a crystal ball'. But whatever you may think of Nico's trip down the escape road in qualifying yesterday (and as I said yesterday I thought there's wasn't much doing there) based on today at least there was little one could question about Nico prevailing. He put no wheel wrong that I saw and was under severe pressure from his stable mate for just about the whole distance. Nico neither cracked nor looked like cracking. In another departure from last year today's race hardly could have been more distinct from the 2013 go-slow, wherein the Mercs concerned about tyre wear and armed with the knowledge that overtaking around Monaco usually is theoretical only circulated at a pace below even that of a GP2 car for much of the way, and backed the pack up. This time the Mercs pushed for the whole distance, thanks in part to more durable tyres but given everything already mentioned you'd think that the two drivers in silver would be less keen on working together to form a pincer movement 12 months on. It's amazing what a driver feud can do for the rest of us. As ever the run to turn one meant a lot in a Principality race, and did especially so this time. The Rosberg-Hamilton contretemps that a few speculated as to didn't happen. Neither did Lewis being able to vault his team mate off the line, and the two emerged from Ste Devote in their grid order with Nico ahead. This did a lot to frame the result, and that much of the field made their single pit stop at the advent of that mid-race safety car meant the order shuffles that might have resulted from strategy didn't happen either. 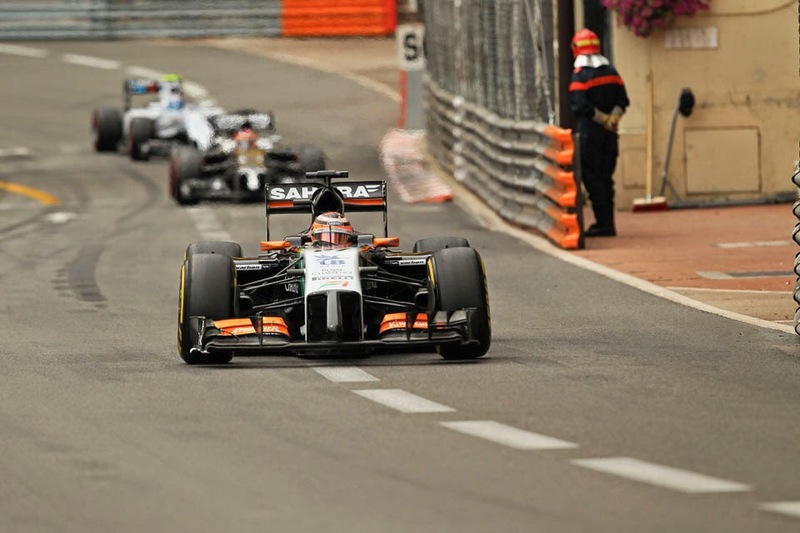 And Monaco was still Monaco when it came to overtaking. But 'twas ever thus here, and Nico did what he had to do. The tete-a-tete with Hamilton retained an intensity for most of the distance and as well as apparently having greater fuel-saving concerns any error at all from Nico would likely have led to Lewis pouncing definitively. But it never came. And then late on Lewis complained of vision problems, having got some dirt in his eye, and fell away form his team mate. As far as the win was concerned that was pretty much that. It all means Nico re-takes the championship lead too. Afterwards Nico was also keen to sidestep the burgeoning soap opera script with the guy across the garage. 'Very very happy. Really awesome...even on such a unique track like Monaco even to be so quick with this car it's just great...and again a one-two for the team' he said of his win. He then moved onto the crux of the matter as far as many were concerned. 'Between us there's not really bad (feeling) and I don't want to comment about Lewis in any way but I can just say for me that I'm very very happy just like I was last year...and he (Lewis) did a great race, he pushed me very very hard and I had a very tough mid-race as all of a sudden I had to save a lot of fuel and I had to completely change my driving style with him in my gearbox and that really was not easy so I'm glad it all worked out. We've always been friends, but friends is a big word...we have a good relationship...we have our moments but we've known each other since so long so the advantages are that we've always had our moments which we always discuss and move on'. We've been waiting for a long time to say it too, but today seemed a timely strike back for Nico, the halting and perhaps reversing of the momentum that Lewis has enjoyed almost all year. Add too that Nico after the weekend's events surely has the more sympathy from the Mercedes team right now as intimated and all of a sudden the question of which Mercedes driver will prevail in 2014 seems less straightforward. Other changes from the turn one order among the leaders today were down to dumb luck. Sebastian Vettel, third off the line, slowed with technical problems when an early safety car peeled back in which eventually turned out to be terminal. Then Kimi Raikkonen inherited third place (aided by a good start as well as by Daniel Ricciardo getting a bad one which boxed in Fernando Alonso) and stayed there in the first stint. But having made his one and only stop behind the safety car his tyre was punctured, apparently by Max Chilton as he pieced his way through the pack in order to un-lap himself (always knew that was a bad rule). This put him to near the back. Nevertheless via some attrition he looked on for small points only to run out of space at Station hairpin after attempting an opportunistic pass on Kevin Magnussen. But it was arguably the next guy to inherit third place that was the star of the show. 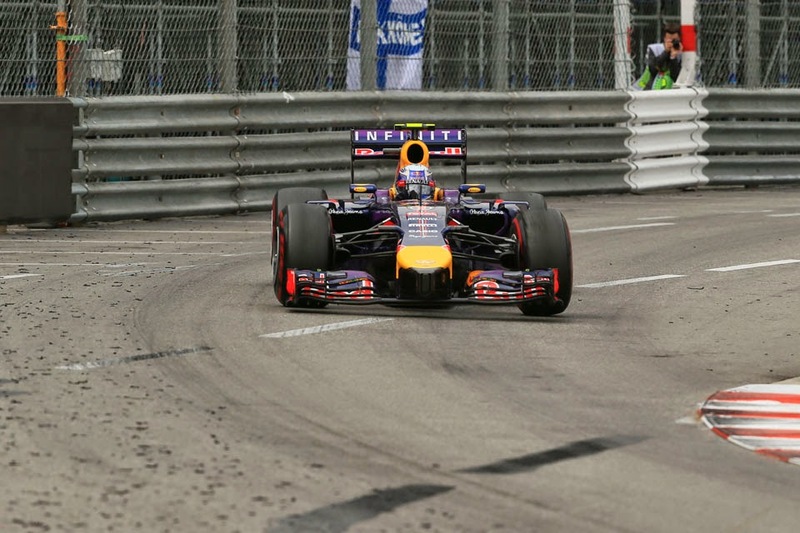 Once again Daniel Ricciardo wowed us and gave further evidence that he is a driver that can do everything. You can add that he can perform in the Principality's confines. 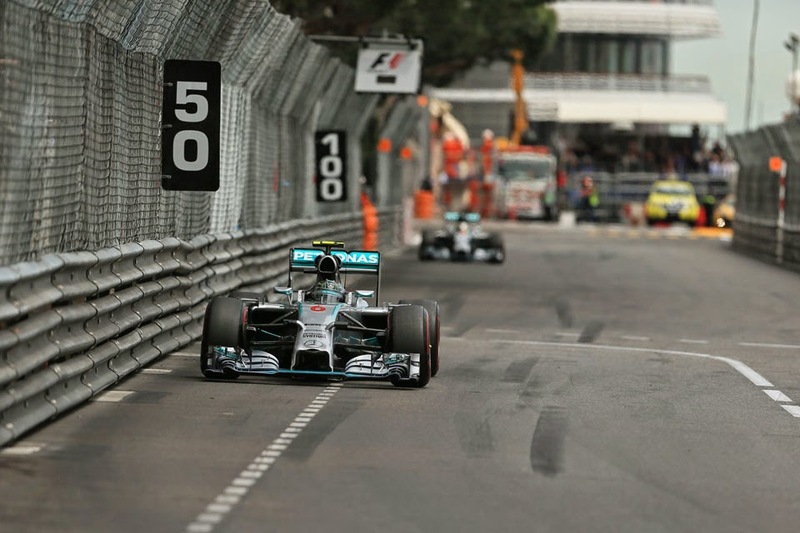 And his frenzied and desperate chase of the impaired Lewis Hamilton in the late laps was something to behold, especially as such is Monaco's way it almost certainly was futile. You also had to remind yourself that it was the first time in 2014 that anyone had got close to a Mercedes in a race. This guy surely will be with us at the front of F1 packs for years to come. Fernando Alonso meanwhile followed them home in a lonely fourth place. There was plenty of close-quarters squabbling far behind (indeed the fifth place finisher downwards was lapped today), but as is often so the cream rose to the top as the guy that just about always impresses us, Nico Hulkenberg, claimed that very fifth place. On the way too he pulled off about the only pass at Portiers that anyone could remember in the Monaco Grand Prix's 75 year history, on Kevin Magnussen (kudos to Kevin too for giving him space - plenty of drivers would have guaranteed an accident there). The other big story - and a nice change from all of the rancour - was a romance. How often have you heard it asked in the last four years 'when will the so-called new teams score their first point?' Today we had our answer. 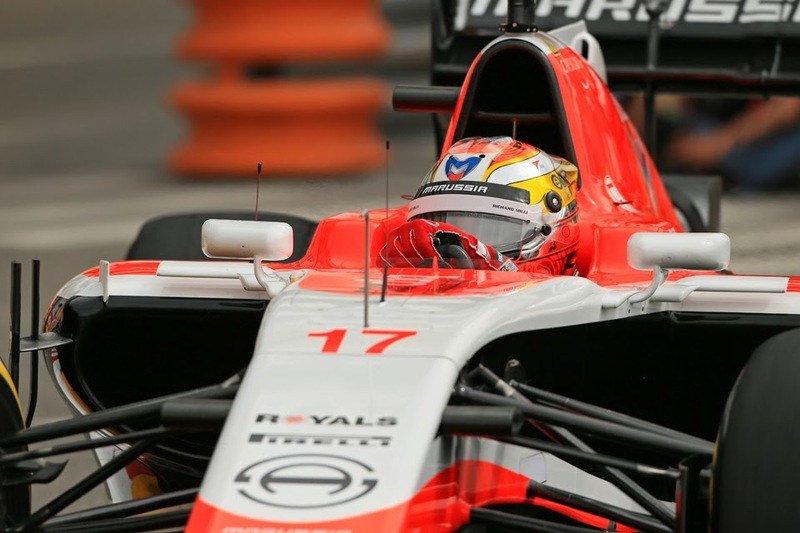 Indeed, Marussia scored its first points as Jules Bianchi got two of them for ninth place. He stayed out of trouble, made at least one - shall we say - rumbustious pass of Kamui Kobayashi as well as lapped close to midfield pace. Indeed he finished eighth on the road but was relegated due to a five second time penalty that I won't bore you with the reasons for. And seeing the spontaneous joy of the Marussia team afterwards, even with everything else that went on this weekend, reminded you nicely that F1 can be a wonderful sport with wonderful people in it. It had been fairly common too to hear sneering at the two 'new' teams too, but let's not forget that their budgets are dwarfed by the teams ahead and in F1 the relationship between spending and lap time is a close one. And would we rather they spent money they didn't have a la Lotus? I wouldn't. Not that logic is always the most plentiful commodity in F1; something no doubt that a few in the Mercedes camp are reflecting on at the moment. The Mercedes of course is miles ahead and that's unlikely to change this campaign, but as far as the drivers go now it seems that perhaps Lewis and Nico are not so much team mates but two guys who just so happen to operate out of the same pit. And this with a pair who've known each another since the age of 13, and even more notably it took them all of six races to reach this point. Even in the notorious case of Ayrton Senna and Alain Prost they waited for a year of battling together at the front to pass before falling out. Plenty of things indeed change in a short space of time. I'm a long-time Lewis fan, and even I can admit he behaved awfully all weekend. After such maturity in Bahrain and Spain, he's shown us that he's still as sour when he loses as before. What Lewis really needs, is to realise you can't win them all and play the long game. Great article Graham, really enjoy reading your stuff :) Keep up the awesome work. I agree, Lewis should beat Nico over this season, and indeed he's had the edge on pace this year for a significant majority of the time. I agree too that Damon got it spot on - only Lewis Hamilton, and more to the point Lewis's occasionally emotional nature, can stop Lewis winning the title this year. The real question I have about this is race is why we lost so many engines? Monaco isn't exactly the most high demanding on them but we saw at least 3 go out on track. Is this the first time they have reused engines this year and if so can we expect more of the same from here on out? Good question - we lost Vettel and Bottas with engine problems, while Vergne and Kvyat both retired with exhaust failures. The most likely reason I'd say is that Monaco's low speeds and confined nature means it's hard to get cooling through the car, so perhaps things overheated. I'd agree that Hamilton did not do himself any favors this weekend. He is a magnanimous winner but a sore loser and nobody likes that. can somewhat understand his paranoia, what with Wolff and Lauda speaking German with Rosberg, but he has been in F1 for a long time now and should man up. Ironically, it all reminds me off the 2007 McLaren situation, but this time he is on the receiving end. That is karma for you. Wouldn't it be supremely funny if a driver feud divides Mercedes with Alonso eventually grabbing the WDC by a single point margin in the final race? Think it'll take considerable effort on Merc's part to lose the championship this year, even with a drivers' feud. They're miles ahead both on points and most importantly on pace. I think it'll take Lewis and Nico taking each other out in several races to give anyone else even a faint sniff.